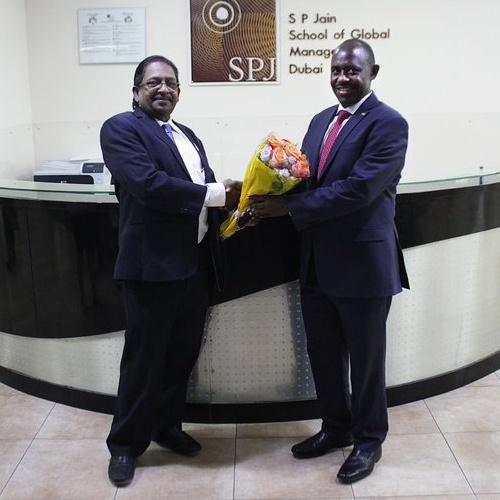 Dr. Mutimura was welcomed by Prof. Christopher Abraham (Sr. Vice President, CEO & Head of Dubai Campus) who described that the meeting was part of a series of strategic talks aimed at establishing a long term strategic partnership between SP Jain and the Government of Rwanda. A campus tour and presentation were part of the Minister’s visit where he was introduced to the university’s values and the various initiatives currently being implemented for students’ growth and career development. Dr. Eugene Mutimura is a prominent Rwandan scientist and researcher who serves as Rwanda’s Minister of Education. 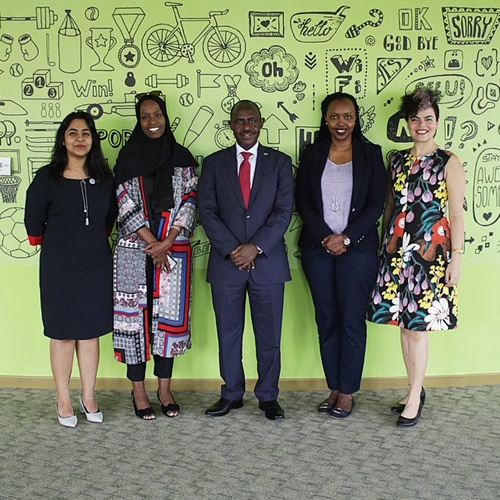 Prior to his appointment as Minister, he coordinated the African Centers of Excellence project, based in Kampala and financed by the World Bank in 8 nations, to help provide research and instruction in 16 Universities. Dr. Mutimura completed his PhD from the University of the Witwatersrand in Johannesburg in 2007 and previously worked at the Regional Alliance for Sustainable Development. It is among his top priorities to improve the quality of higher learning and train a new generation of Africans who can develop and apply science and technology to solve Africa’s most pressing challenges.